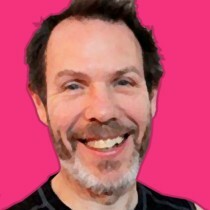 Norman began practicing yoga in the early 1990s and has been teaching since 2001. His practice and teaching embrace both Ashtanga Yoga and Yin yoga as well as mindfulness meditation. This is a journey that has included ups and downs, twists and turns, frustrations and elations - life is that ten thousand sorrows and ten thousand joys. Norman believes that yoga is accessible to all of us and through regular practice we can experience profound changes in our mind and body. Norman teaches classes and workshops in London regularly.